Many contracting/specialty tradespeople dream of becoming their own boss. Unless they have sufficient starting capital, many start as a business of one, actually performing the work. But, it is important to run the business as well. This means marketing, sales, estimating, financing, invoicing, cash flow management and customer service. Regardless of whether you decide to keep it small or to grow, you may need to hire employees or subcontract work to others. Both options have their own challenges and tax reporting requirements. If your vision is to grow out of performing the work and into being a business owner/manager, the critical path is different. You must have a business plan, otherwise you may get trapped in the day to day tasks and struggle to make the transition. Each segment of the business should have a plan. Together these can provide a blueprint for success. They don’t have to be excessively detailed but should be documented rather than kept in your head. Your blueprint will keep you focused and moving toward your goals. Ready to get started building your foundation? How do I get jobs to bid? The answer is consistent effective marketing. Branding and Brand Awareness are the foundation of any marketing plan. Branding is your first and lasting impression. Investing in a professional will start your business off on a higher plane. Subscribe to Contrator’s Corner and we’ll send you the complete whitepaper! Just fill out the form to the right. How does Paisley Solutions benefit contractors and specialty tradespersons? Running a business and consistently having timely, accurate financial information is challenging to say the least. There is a better way to manage and grow your business by outsourcing all (or part) of your bookkeeping. Is your bookkeeping often not up-to-date or not accurate? 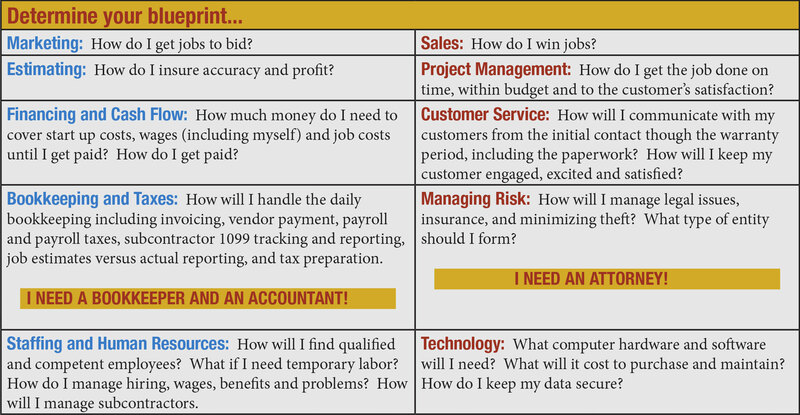 Do you experience inaccurate or ineffective job cost tracking? Is managing cash flow overwhelming and stressful? Do you have a limited understanding of financial statements and/or taxes? Is it difficult to correctly distinguish reporting for employees versus independent contractors? Do you take steps to protect your business from fraud and theft? Take the time to look at your financial picture before you wind up taking more money out of the business than is truly available, going into debt, continue working with customers who are behind on payments, or even getting behind yourself on paying employees or payroll taxes. If any of these points hit home, please call or visit our website to schedule a no-obligation meeting. 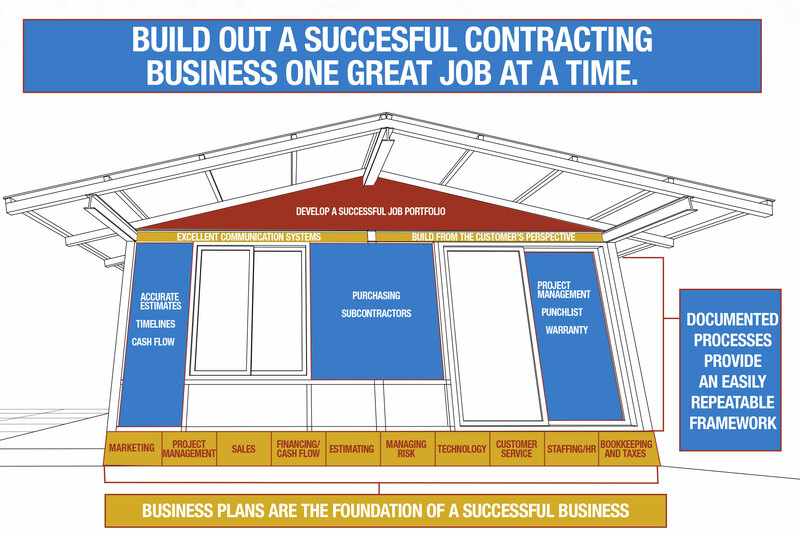 Simply stated, contractors go out of business because they run out of money, not because they run out of work.